LG was the world’s largest manufacturer of flat-panel TVs, but the company was unknown to the U.S.consumer. Most Japanese TV manufacturers targeted men—utilizing an all-too familiar “beer advertising” voice and focusing on the size of the screen.An additional challenge was that LG’s key competitors were outspending them five-to-one. Our account planning team conducted Consumer and Retailer Insight Interviews across the U.S. As elegant thin-screen televisions made their way from the basement or den into the living room, we discovered that women were integral to the purchase decision—a key, untapped target and LG’s largest opportunity for growth. We overcame budget challenges by using the national brand budget as well as utilizing existing coop/MDF funds and leveraging our relationships with dealers. 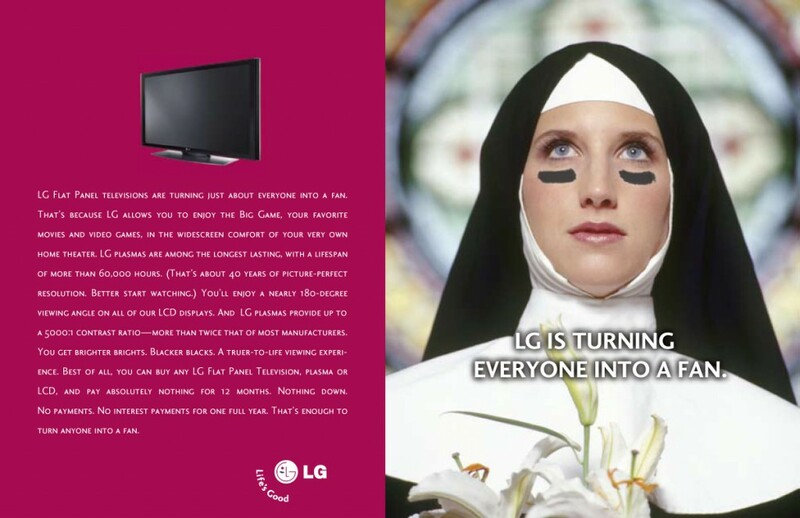 The solution was to combine a well-coordinated “above-the-line” campaign with “below-the-line” branding through LG’s channel marketing—region by region, dealer by dealer. Our team also mounted an aggressive interactive sales training program due to the fact that 77% of TV purchases were ultimately determined by dealer recommendation. 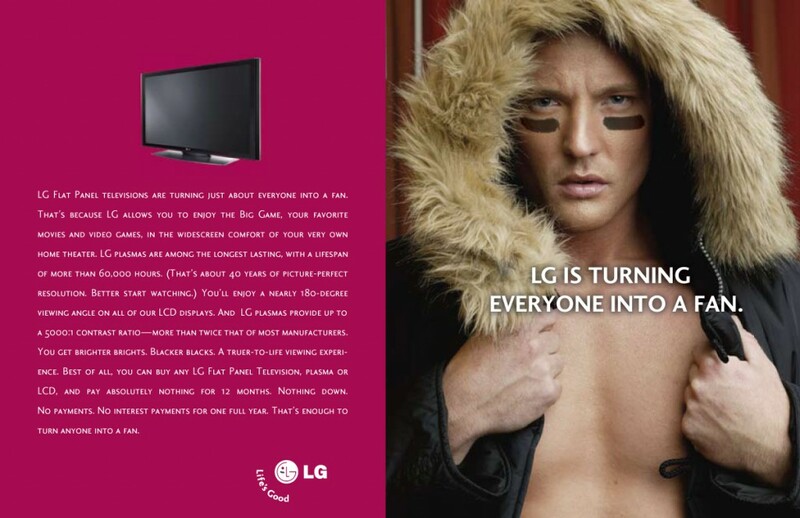 Built on the back of this comprehensive campaign, LG grew from near zero brand recognition and market share to #4 in U.S.flat-panel sales, equating to an increase in domestic growth from $250 million to 1.3 billion over a two-year period.